As featured on the Build Healthy Places Network blog. In 2015, sixty students peered out at a local landfill as a community elder and environmental justice activist spoke about the persistent health problems caused by the city’s industrial heritage. The students are in their local high school’s health academy, and are beginning to ponder the future health and sustainability of their community. Richmond stands at a crossroads of an environmental justice and health equity movement. The land beneath their feet transitioned from a landfill to wildlife refuge, park, and organic composting facility. The smoke stacks of the Chevron Richmond Refinery – the largest refinery west of the Mississippi – stand opposite from solar power generation on a wastewater treatment plan. These students are advancing this movement themselves, helping transition their community from an industrial past to a future they own and create. To a place they are proud to call home: Richmond, CA. Grounded in the practice of connecting the dots between community development and schools, the Center for Cities + Schools (CC+S) at UC Berkeley has engaged young people in local change for over 15 years as part of the Youth – Plan, Learn, Act, Now (Y-PLAN) curriculum and strategy. Y-PLAN is a research-based educational methodology designed to challenge the status quo—inviting children and young people to participate alongside professional planners and other adults in efforts aimed at transforming policy landscapes and built environments. 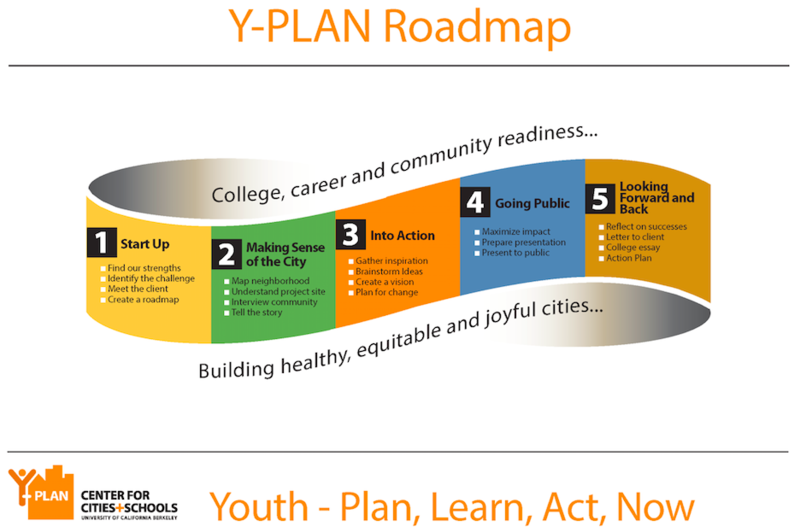 Y-PLAN’s rigorous five-step methodology demonstrates a “double bottom line” of positive outcomes for students and communities. Y-PLAN builds the capacity of young people to effectively contribute to the planning and policymaking process while develops college, career, and community readiness skills. CC+S has shifted its focus in the past few years to explicitly call out the need for health equity in all planning decisions, acknowledging the natural alignment that exists in making healthier, more equitable and joyful cities – and schools. Examining the root causes of health inequity and engaging young people in asking “why?” was a natural alignment to the Y-PLAN curriculum. City Manager Bill Lindsay said, “Y-PLAN has changed our planning processes for the better. The values articulated by Y-PLAN are now core principles for public participation in Richmond.” In 2015, the City engaged students in the Climate Action Plan, using Y-PLAN as its first stage of community engagement. The plan contains the insights and recommendations from 9-12th grade students at Richmond High School’s Health Academy. City Manager Lindsay and his staff have taken the student’s recommendations seriously. As Lindsay explained, “We are moving now well beyond Y-PLAN to what our staff has begun to call Y-Implement, our own phrase. 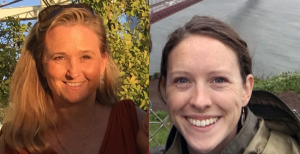 We are taking great ideas that come out of your planning process and we try to bring them to fruition.” These ideas include installing bike racks outside of three Richmond schools, including Richmond High. 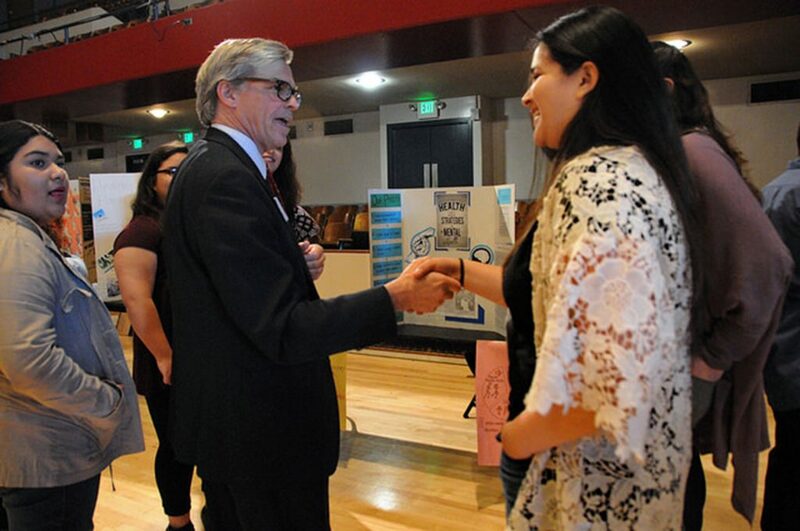 A student from Richmond High School meets City Manager Bill Lindsay at the Y-PLAN Richmond Final Presentation on April 25, 2016. In their 2016 projects, students focused on increasing the visibility of mental health support services for students and planning a healthier Downtown Richmond. One group presented to middle school classes about the importance of mental health for success in school. Other students suggested bus stops with solar power phone chargers, lighting, and WiFi to improve safety. A third group suggested the City hire a “Health Manager” to coordinate healthy living proposals, recruit healthy restaurants, and expand local mobile farmers’ markets to the Downtown Area. Over the last 8 years of partnership, high school health academies, the City of Richmond, and CC+S have experienced mutual benefits through sustained engagement. Health Academy students have increased critical thinking, communication, collaboration and civic efficacy though their health equity Y-PLAN projects. City leadership has influenced CC+S’s development of Y-PLAN projects, partnerships, and curriculum to focus more explicitly on health equity as a framing for equitable community development and city planning. Most importantly, the City of Richmond has gained deep insight from student experts who are embedded in the community and thinking about local policy change. Looking forward, the Y-PLAN initiative seeks to build on insights and inspiration from Richmond and elsewhere to inform the planning and development of healthy, vibrant cities for and with young people across California. Top picture caption: Students from Richmond High School’s Health Academy explore the Wildcat Marsh and Landfill Loop adjacent to the Chevron refinery (left) and a solar-powered municipal waste water treatment plant (left). Deborah L. McKoy, PhD is the Founding Director of the UC Berkeley Center for Cities + Schools, lecturer in the Departments of Education and City and Regional Planning, and creator of the Y-PLAN initiative. Her research focuses on the intersection of educational reform and community development and the critical role young people play in urban change and transformation. For over two decades, Deborah’s work has bridged the worlds of research, policy and practice, holding a range of professional positions: Consultant to the U.S. Department of Housing and Urban Development, Chief of Economic Development at the New York City Housing Authority, and Consultant to the United Nation’s Education for All initiative. Megan Calpin, MCP, MPH, is a Research Associate at the UC Berkeley Center for Cities + Schools. Megan’s research centers around participatory community development and transformation. She is trained as a planner, public health practitioner, and educator. She is passionate about cross-sector collaboration to shift power dynamics and reduce structural inequality in cities. At the Center, she has facilitated two city-wide Y-PLAN projects and infused the most recent Y-PLAN curriculum with a health equity framing.